Relatives of three US Green Berets killed last year in Jordan are demanding accountability from the US and Jordan. The three men were killed after a Jordanian gate guard opened fire on the men when their convoy passed a checkpoint. 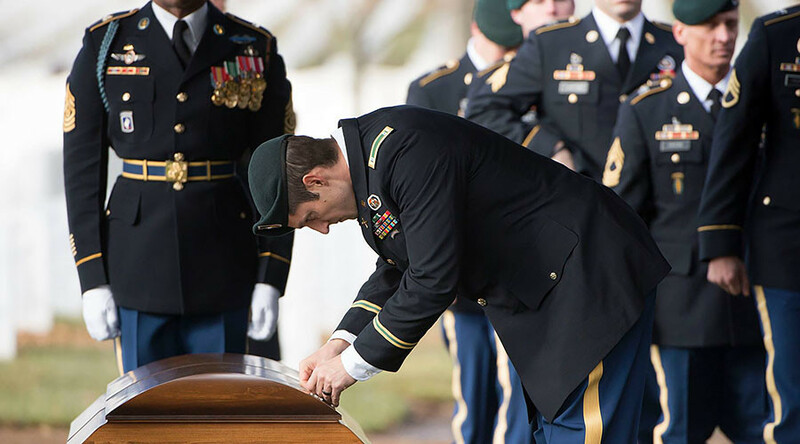 While the US government determined the deaths of three Green Berets last November to have been an accident, the families of the men feel there is more to be done. On Tuesday, they explained their frustrations during a press conference with Rep. Tulsi Gabbard (D-Hawaii), Rep. Ted Poe (R-Texas) and Sen. Roy Blunt (R-Missouri). The deaths of Sgt. 1st Class Matthew C. Lewellen, 27, Staff Sgt. McEnroe and Staff Sgt. 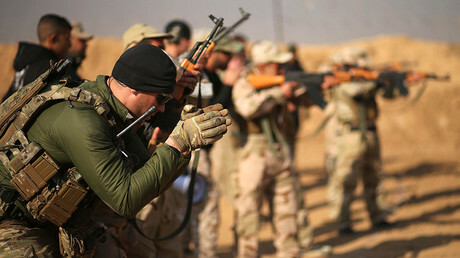 James F. Moriarty, 27, were determined by an investigation to have been caused by the soldiers’ failure to follow directions when entering Al-Jafr Air Base. However, the fathers, who reviewed footage of their sons’ deaths, claimed that the real story was completely different. The three sergeants were the second vehicle in a four-car convoy that was passing through. "Vehicle number one went through the gate with no problems," Chuck Lewellen said. "Vehicle number two being driven by Staff Sgt. McEnroe and my son, Sgt. 1st Class Lewellen, was going through with no problem." However, after they pulled away, they were allegedly ambushed by a Jordanian guard “who was inside the guard shack with an M16, with accurate and lethal precision," Lewellen said. This is where the stories presented by Jordanian investigators and the fathers of the soldiers diverge. According to a letter from the Jordanian Embassy, the shooter, Abu Tayeh, rushed over to the location after hearing gunfire and believed that they were under attack, the Military Times reported. He opened fire on the soldiers after mistaking them for enemy combatants, in this version of events. The families of the soldiers claim he was already in the guard shack and waited to attack the US soldiers. Either way, he first shot McEnroe and Lewellen who died quickly, while Moriarty exited the vehicle with another special operator known only as “Mike” and attempted to reason with Tayeh. Former Marine James Moriarty explained: "My son and the survivor held their hands up and communicated that they were not a threat” in both English and Arabic. However, he was shot. "My son takes a couple of assault rifle rounds in the chest. Mike, using that opportunity, is seen circling around the Jersey barrier and finally he empties his gun in the side of the Jordanian soldier, where he is able to put rounds" into Tayeh’s body armor, Moriarty said. The fathers expressed their displeasure with Jordan’s investigation of the incident. There were two reports written about their deaths that made two different assertions over what happened, but the fathers are displeased that both reports blamed the Green Beret soldiers for their own deaths. "There were two different reports that the Jordanian press released, and both of them accused our men of doing something wrong," Chuck Lewellen said. The fathers are not only hoping that Jordan will look into their sons’ deaths again, but also hope that the US government holds Jordan accountable for the deaths. "We are told that Jordan is an important ally in the war on terror – a war which I support – but I encourage our president and our administration to take a hard look at our relationship with an ally who would so callously disrespect the sacrifice made by our boys," McEnroe said.